Back in the days, decaf meant dreadful. Not anymore. 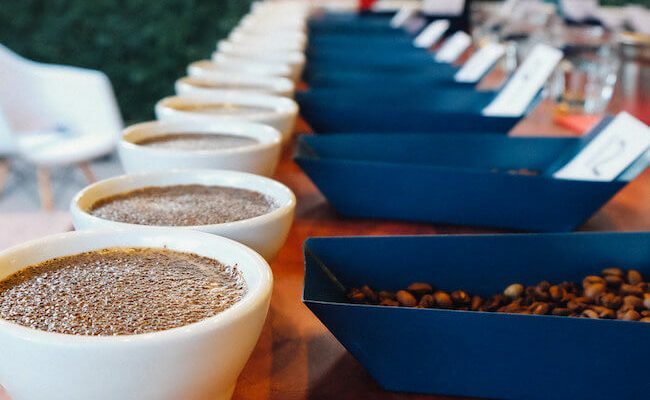 In this post, I take a closer look at some of the most delicious no-jitter-inducing coffees on the market today. Finding a bigger caffeine addict than me is hard. I wouldn’t be able to function if it wasn’t for the magical molecule also known as Methyltheobromine. Still, I know my limits. That means I usually never drink regular coffee after 4 pm. So that’s where decaf comes into the picture. Surprisingly, some of the best-tasting decaf coffee will be on the same level as the regular stuff taste-wise. As people are becoming more conscious of what they’re putting in their bodies, they also start to question whether they really need all the stimulants that they’re used to consuming. This has lead to a rise in decaf options in all things related to coffee. According to the Daily Telegraph around 6 percent of people who visit coffee shops regularly order decaf. If you want the best possible caffeine-free experience, you have to use legit quality beans. That’s exactly what the guys from Stumptown coffee excel at. 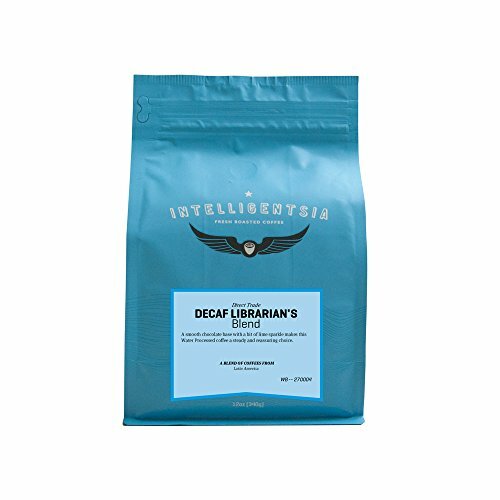 This blend is hailed as one of the top decaffeinated coffee experiences out there. It’s got plenty of chocolate and rich notes and is low acid. How are de-caf coffee beans made? Decaf coffee has been around for ages. The first attempt to isolate caffeine was made in Germany in 1820 on the behest of the renowned German statesman and poet Goethe. Nothing happened on a commercial level until 1906, when another German named Ludwig Roselius patented a decaf method. The method involved steaming the beans with acids and then using benzene to remove the caffeine. As you might expect, this didn’t create delicious flavors in the beans. Other solvents were tried, including the eventually more prevalent dichloromethane and ethyl acetate. However, decaf coffee continued to live with a pretty harsh reputation. It wasn’t until what is known as the Swiss water process became more sophisticated that decaf beans became a more viable alternative. As the name implies, this method relies on water instead of chemicals and that helps the flavor. The process is not that simple though, and it might make more sense to watch the video below instead of letting me butcher the concept. The important thing you need to be aware of is that this method retains most of the bean’s inherent qualities. Even though we call the coffee decaf that’s not entirely accurate. 99 percent of the caffeine is removed with these methods, but there will always be a little bit left in each bean. This shouldn’t affect sleep though. Also, you don’t have to fear to be jittery. However, if you had a doctor telling you to stay off caffeine, you better double check before indulging in decaffeinated coffee. What to expect from the best decaffeinated coffee brands? The best decaf coffee is usually more expensive than a similar regular coffee. This isn’t strange since taking these small molecules out of the bean does require a fair bit of extra work. One way coffee companies have countered this has been to skimp on the quality of the green coffee. Obviously, that makes it cheaper for the end consumer, but it also means that the coffee tastes (even more) dreadful. 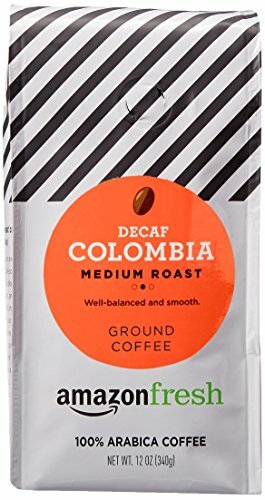 This combination of cheap coffee and a poorly executed decaffeination process meant that decaf gained a reputation as horrible coffee. But it doesn’t have to be that way. With premium green coffee and a gently Swiss water process, you can achieve stellar results. 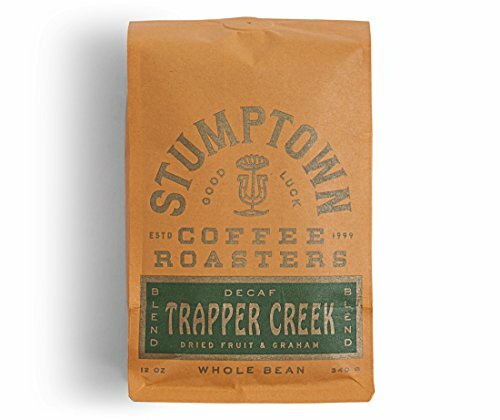 Stumptown is one of the original ‘third wave’ coffee roasters. That means that the company takes the quality of the beans extremely serious. This is also the case with this decaf whole bean coffee. The reviewers on Amazon are shocked that a decaffeinated bean can taste this good. The caffeine has been removed with the Swiss water process, so all flavors are kept intact. Expect notes of chocolate, raisin, and caramel. This coffee is sweet and creamy and has low levels of acid. 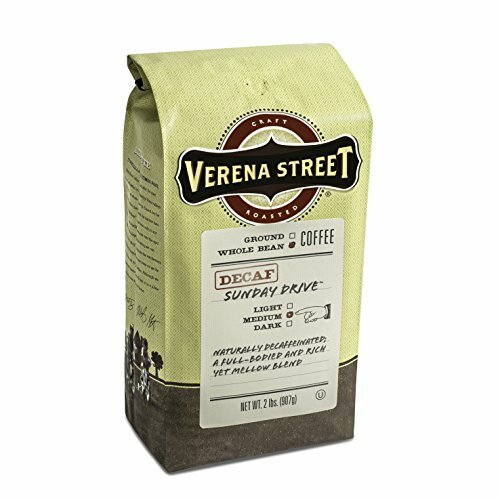 Verena Street is a roaster from Iowa who has created a hugely successful decaf blend. 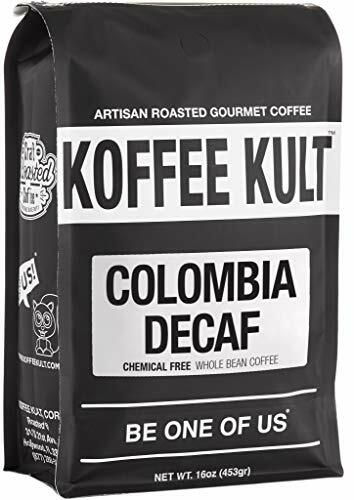 There are more than 800 reviews of this coffee on Amazon, and the vast majority of them are positive. The blend is a medium to dark roast that is low acid and has a rich and complex flavor. Imagine dark chocolate, roasted nuts, and butterscotch. The beans have been treated with the Swiss water Process, so you can drink away like there’s no tomorrow (or tonight). This is a blend that is named after librarians. It’s reassuring but still has some eccentricity. I could imagine that people in the profession would drink bucket loads of coffee. In that case, you want to be careful not to go overboard with the caffeine. It’s a medium roast, so it still retains a little bit of the sparkling top notes. Expect some good, old-fashioned coffee flavors such as chocolate and hazelnut with a little bit of citrus to top things off. 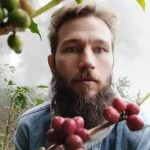 As always, when you buy coffee from Intelligentsia, you’re making sure that the farmers are paid a fair price – this is the so-called direct trade, meaning no middleman was involved. Here’s something slightly unusual; a sort-of-single origin decaf coffee. All the beans are sourced from Colombia. They have been treated with water only, no chemicals, in order to retain the natural flavors. The result is a great tasting decaf coffee that has a bunch of positive reviews online. The roast is medium, so there are still some fruitier notes and a long balanced finish. This is a decaf coffee without all the bells and whistles of the more advanced roasters. Amazon has recently entered the coffee market under the moniker AmazonFresh. This is their attempt at creating a coffee that doesn’t make you jittery. According to the reviews, it tastes like a legit coffee though – a bit closer to a dark roast than a medium, in spite of its name. It’s already ground, so you don’t need a grinder to enjoy this one at home.